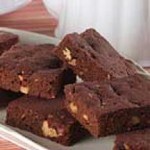 Chewy, chocolatey cocoa and coconut brownies. Heat oven to 350°F (175°C). 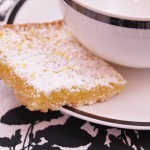 Grease8-inch square baking pan. Stir together flour, cocoa, baking powderand salt; gradually add to egg mixture, beating until well blended. Stir in 3/4 cup coconut. Spread batterevenly into prepared pan. Sprinkle remaining 1/4 cup coconut overtop. 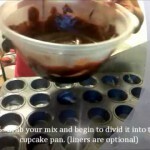 Bake 25 to 30 minutes or until browniesbegin to pull away from sides of pan. Cool completely in panon wire rack. Cut into squares. 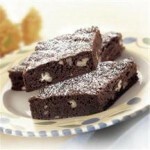 If the Coco-Coconut Brownies recipe was useful and interesting, you can share it with your friends or leave a comment. 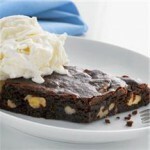 Divine, so easy and by far the best brownie recipe ever the coconut gives a lovely chewy texture. They store very well staying moist and flavoursome for the best part of a week — can’t say beyond that as usually devoured within a few days! Highly recommended — FIVE stars Love the new look or think we’ve missed the mark? We want to hear your thoughts – good and bad – to make sure we make the new website as useful as possible.